Get ready for the summer Patriotic holidays of Memorial Day and Fourth of July with this patriotic Freedom Fence MatMates . This patriotic recycled rubber MatMates doormat is a gorgeous doormat that can be used as a standalone mat or with one of our indoor comfort trays or with our outdoor star trays. This Patriotic doormat is 18" x 30" when used as a stand-alone mat. 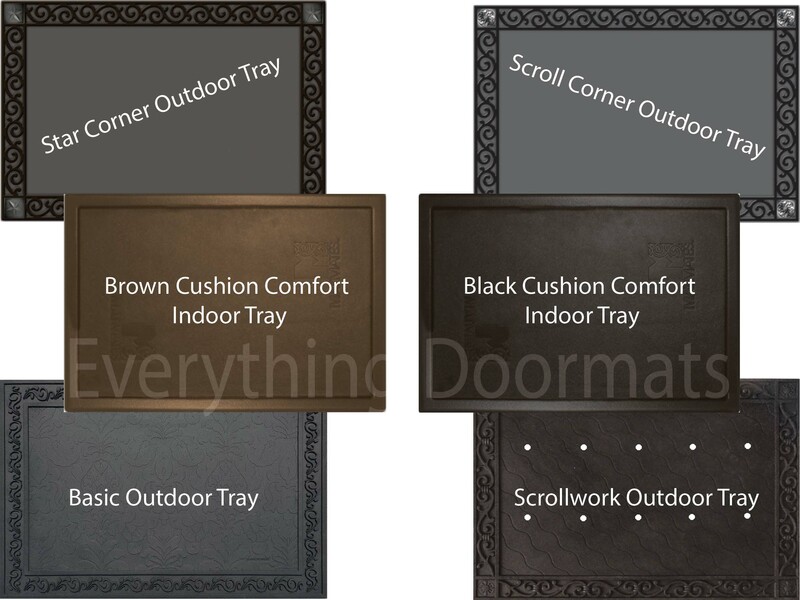 Note: The Freedom Fence doormat is pictured in our Scroll Corner Outdoor Tray. The outdoor trays and cushion comfort trays are sold separately.